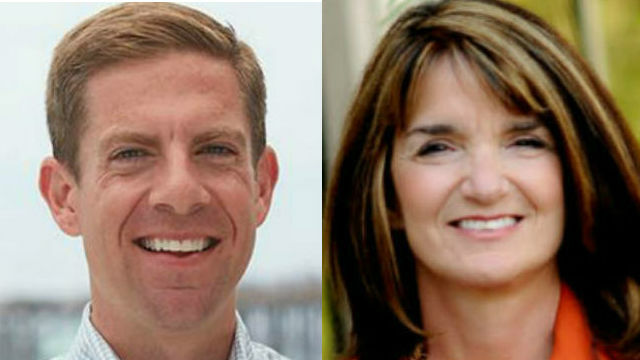 Internal polls released over the past two weeks show Diane Harkey and Mike Levin in a tight race to succeed Rep. Darrell Issa in the 49th Congressional District. A poll by Harkey’s campaign that was obtained by the Roll Call political website showed her with 46 percent to Levin’s 43 percent. The poll was conducted July 15-17. However, an earlier poll by Levin’s campaign, conducted June 24-27, showed him with 44 percent to Harkey’s 41 percent. Levin, an environmental attorney, led a crowded field of Democrats in the June primary, while Harkey, a member of the State Board of Equalization, was the top Republican vote-getter. Issa, who narrowly won re-election in 2016, decided to retire rather than fight another campaign. He endorsed Harkey as his successor.